A car is a huge investment so you want to be sure you’re getting the right car for you, and that you’ve checked the model you choose is up to scratch. If you’re a professional with an appreciation of the finer things and an avid driver then you really can’t go wrong with a BMW. 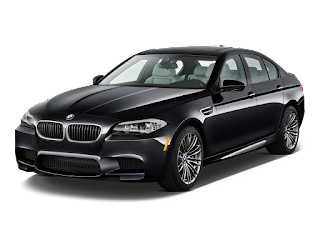 BMWs represent the perfect balance between speed, good looks, and luxury, without totally breaking the bank. So here’s a guide to help you choose the right used BMW for you. First off, let’s talk about why you should consider a BMW. Well, in short, it provides you with the perfect balance between performance and practicality. If you happen to be heading off to the German Autobahns it’ll happily do 90 MPH and upwards (and do about 43mpg while it does it!). And if you push it really hard, a 320d model for example, will even do as much as 130 MPH without blinking. That said, you don’t feel short changed on comfort or control, meaning you can easily use it as a touring car and enjoy the roads ahead on a long trip. BMW manufacture various styles of car across the whole spectrum of models, including coupes, sedans, hatchbacks, sport utility vehicles (4x4’s) and roadsters, so the choice can seem a little intimidating! Fundamentally BMW offer around 27 different vehicle variations per year, and around 432 model variants of those – such as saloon, convertible, sports and estate to name a few. Of course when buying used you also have the option of buying classic models and older discontinued models as well. Once you’ve chosen your perfect model you also need to consider whether you need petrol, diesel or hybrid car – or even a purely electric car. All in all BMW really do offer a full spectrum of options to suit all needs, so when choosing a model you can truly factor in your lifestyle, vehicle needs (such as how many passengers and how much luggage you’ll need to transport), and average annual mileage. Once you’ve chosen the right model for you, you need to firm up your budget so you know exactly what you’ve got to spend. If you’ve got plenty of cash to splash then treat yourself to either a very new used car, or even a brand new one. If your budget is a little more modest don’t despair! Why not consider leasing as a more manageable option? Fixed costs are easier to manage and budget for than a big purchase cost, and leasing lets you make the most of this as while there will be a small initial outlay, the monthly cost will remain fixed during the period of the lease. Lease Car have a great selection of BMWs in a range of sizes and fuel options to make you and your budget happy.